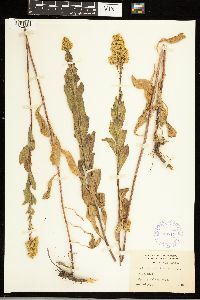 Plants (forming diffuse clones) 15-80 (-150) cm; rhizomes creeping, slender. 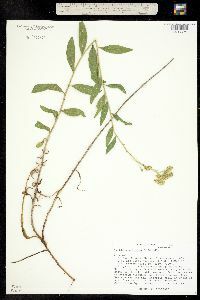 Stems 1 (at ends of rhizomes), ascending to erect, glabrate proximal-ly to sparsely to densely strigoso-puberulent distally. 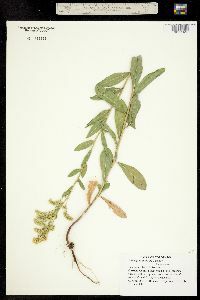 Leaves: basal and proximal cauline often persisting to flowering, gradually tapering to winged petioles, blades linear oblanceolate to oblanceolate, rarely spatulate, 50-120 × 8-30 mm, proximalmost much smaller, margins entire to sharply serrate, faces glabrate to moderately scabroso-strigose; mid and distal cauline sessile or subsessille, blades elliptic to oblanceolate or obovate, 10-50 × 3-12 mm, mid tapering to bases, somewhat to strongly 3-nerved, largest, usually much reduced distally, margins entire or sometimes distally serrate, apices acute, faces sparsely to densely strigoso-puberulent, sometimes softly so. 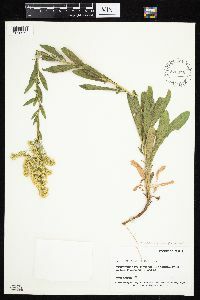 Heads (2-)30-500, in narrow to broad, thyrsiform to secund-pyramidal paniculiform arrays, branches recurved, secund, congested to lax. 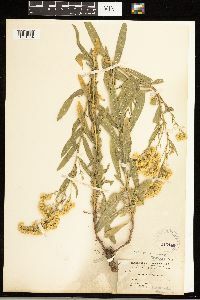 Peduncles 1-6 mm, sparsely to densely strigillose; bracteoles 0-5, sometimes clustered near to and grading into phyllaries, linear-lanceolate. 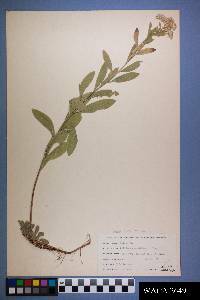 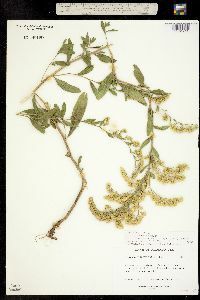 Involucres campanulate, 3.5-6 mm. 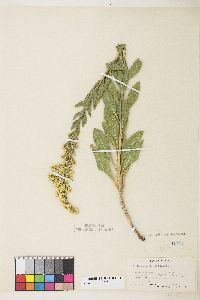 Phyllaries in 3-5 series, lanceolate to oblong, strongly unequal, acute or sometimes obtuse, glabrous or sparsely strigillose. 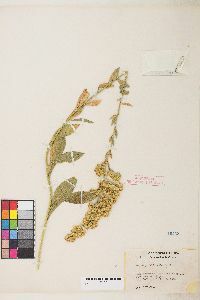 Ray florets 6-12; laminae 2.9-6.3 × 0.3-0.7(-1) mm . 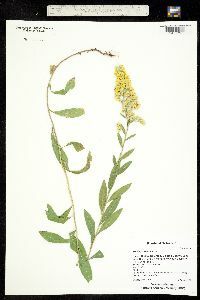 Disc florets 5-17; corollas 3.5-6 mm, lobes 0.8-1.7 mm. 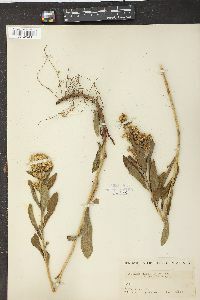 Cypselae 0.7-2.7 mm, sparsely to densely strigillose; pappi 2.5-4.7 mm. 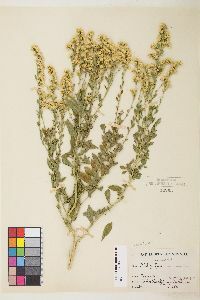 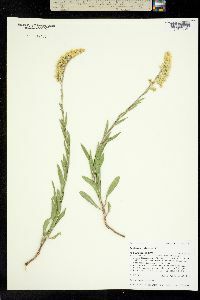 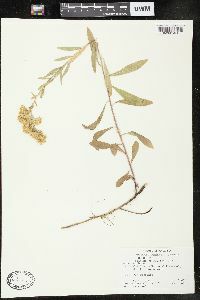 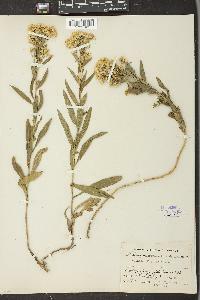 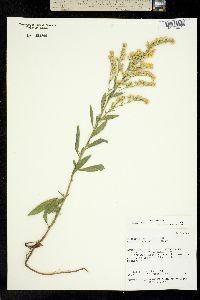 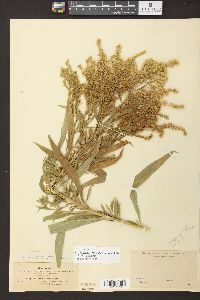 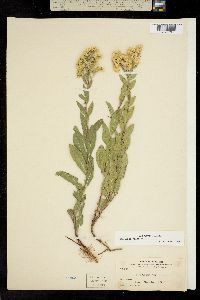 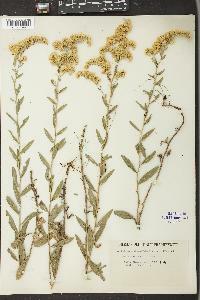 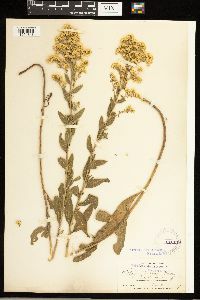 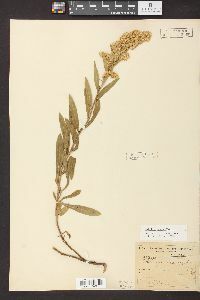 G. L. Nesom (1993b) merged Solidago californica, S. sparsiflora, and S. velutina without recognizing any infraspecific taxa, as did A. Cronquist (1994). 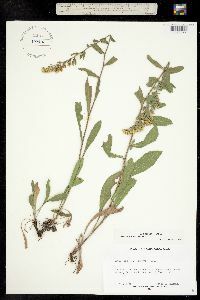 J. C. Semple et al. 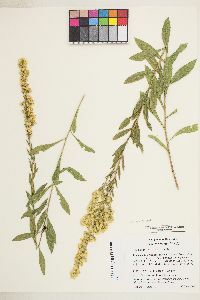 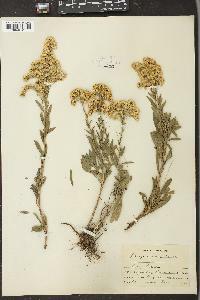 (1990) compared S. californica and S. sparsiflora to S. nemoralis and found that all three are significantly different in a multivariate analysis. 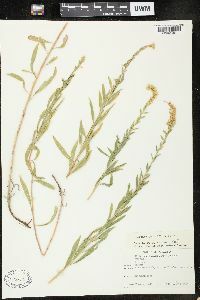 Evidence for separating the two subspecies of S. nemoralis was greater than the support for separating S. californica and S. sparsiflora.